Is the PC still personal, six years after HP bought Voodoo? You might recall the “PC is Personal Again” campaign launched by HP in 2006 to reinvigorate the PC market and announce its intention to bring new standards of design to PCs. Part of the campaign involved moving R&D funding away from tower-style PCs as it was felt that not much innovation could be gained. Instead, the focus moved onto laptops where areas such as miniaturization, hard disk protection, materials, and so on could be exploited to create new reference models for laptops and so gain a competitive edge in the market. Around the same time, HP decided to buy Voodoo PC, a company based in Calgary that specialized in “boutique” PCs. The transaction acquired some good talent as well, amongst which was Rahul Sood, the founder of Voodoo PC, who now runs the Bing VC fund at Microsoft. I can remember the reaction from a gathering of HP senior technologists when the Voodoo transaction and the kind of PCs that they made were revealed. Gasps of amazement is one way to describe the reaction. Partially from the fact that HP would buy such a company that manufactured such a small number of PCs, but more due to the excellence of the design and execution of the PCs that Voodoo created. It certainly was an exciting time. Good things flowed from the acquisition, the first of which was original Blackbird gaming PC. Voodoo had an impact on PC design at HP, including the introduction of the Envy sub-brand to create laptops that were just a little different than the norm and not just a rip-off of whatever Apple was currently doing with the Mac. But like anything else, it takes energy and commitment to realize true success over a sustained period. In HP’s case, I think that most if not all of the original Voodoo team has left the company and probably took some of the Voodoo mojo with them. It’s interesting to find that the original Voodoo web site offering products such as the Envy 133 and HP Firebird is still online, even if it hasn’t been updated since 2009. 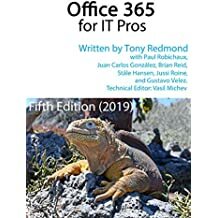 Personnel turnover is a fact of life in very large corporations; the question is whether Voodoo made sufficient impact on the huge corporation that HP is today to have an enduring effect. 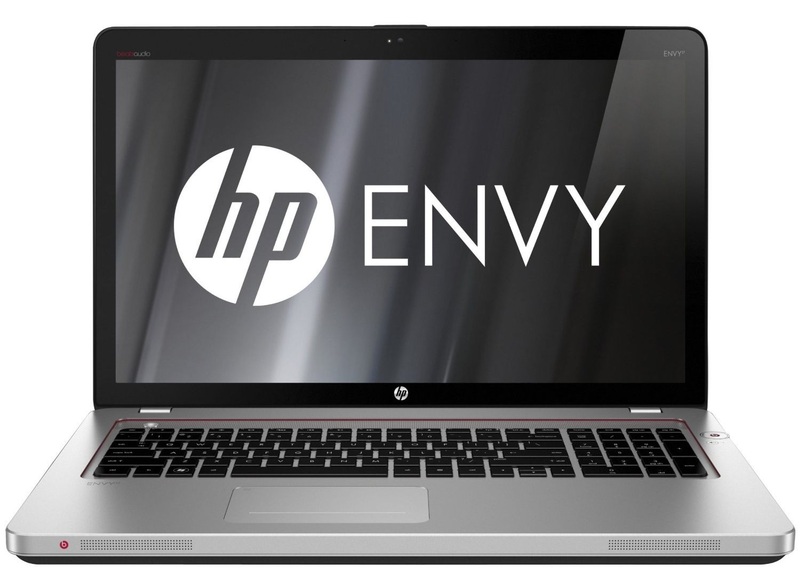 A recent article asked the question whether HP has lost its way with the Envy brand. The author pointed to the fact that HP now sells a range of Envy-branded printers (such as the HP Envy 114) and wonders whether this indicates a loss of the excellence in design that the Envy brand started out representing. Despite the fact that the printer market has become cut-throat as printers evolved into no more than vehicles for ink delivery and replenishment, there’s still much to admire in some designs and I think that a fair case can be made to attempt to stretch the Envy brand across printers if the models involved are of the same quality. As I haven’t used an Envy printer, I can’t comment. I can, however, comment about recent HP Envy PCs because I actually went and bought an HP Envy 17 recently. I know that a lot of the action in the PC market revolves around ultra-notebooks but I need a device that can run several virtual machines. A large bright screen helps aging eyes too. After looking at many different PCs – and even considering a new MacBook Pro with its retina screen, the choice came down to an HP Elitebook 8730w or the Envy. There’s much to like about the rugged dependability of the Elitebook range. My previous PC, an Elitebook 8530w, took four years of abuse, travel, and lack of care without missing a beat. However, when comparing the Elitebook against the Envy, I concluded that the Envy looks a lot nicer and it costs a lot less. Maybe I do need the military-grade rugged build of the Elitebook, but I don’t think so. I therefore bought the Envy 17. Unless you purchase through a Configure-to-Order (CTO) build process, the PC that you buy might not be 100% appropriate for your needs. In my case, the Envy came with 2 x 750GB SATA 5400 rpm drives. Great for space, bad for speed. I therefore replaced them with 2 x 256GB SSDs to achieve what I think is a nice balance between cost and storage capacity. I also upgraded the PC to Windows 8 Pro on the basis that I like the fast start-up and hibernation feature and can cope with the horrors of the new graphical interface. Not everything was plain sailing. Immediately after buying the PC and after going through the normal “let me fetch hundreds of Windows updates” and applying them all, the Envy refused to reboot. Any attempt to power on met with zero response. The Envy has a battery that is not particularly easy to get at or remove either, so I left it in place and put the PC back into its box (the Envy packaging is very nice, not quite Apple standard but better than other PCs that I have bought) and left it alone over a weekend. Apart from anything else, this gave me time to think about what the problem might be. Monday came around after a pleasant weekend. The Envy must have enjoyed its weekend too as it booted first time. It hasn’t missed a beat since (no pun intended – the Beats Audio is excellent) and I have enjoyed using the Envy ever since. Since its SSD transplant, it is super-fast and responsive and I find it to be a very productive and good-looking device. About the only problem I’ve run into is the lack of a traditional VGA port – the Envy comes equipped with HDMI and mini-display ports, but that’s not much good when customer offices don’t have the necessary connectors. I could also complain about the super-sensitive touchpad, but I suspect that this is entirely down to user error (or rather, user impatience). The article that I’ve cited says “HP is letting Envy succumb too cynicism and mediocrity. No one else seems willing and able to pick up the standard of quality that HP is casting aside.” Based on my experience with the Envy 17, I’m not so sure that the brand is descending towards mediocrity. It would have been good not to have had the reboot problem, but any PC can have problems until the hardware beds in and settles down and this seems to be the case here. Comparing the Envy to my wife’s MacBook Air (to use a good benchmark for device excellence), I think that the keyboard and screen are as good. Given the relative size of the two devices, it’s hard to compare the construction. The MacBook Air is nicer to hold and the materials seem to be slightly better quality. Comparing the Envy to an Acer equipped with the same i7 CPU that we recently bought for my daughter is also difficult because the Envy cost so much more – and you can see the quality in the build. However, I don’t like the way that the Envy lid picks up fingerprints and other greasy marks so readily. Again, this might be user error – or rather, user fingers. All in all, I’m happy with my Envy. Whether or not it contains any of the DNA that Voodoo brought to HP when PCs were becoming personal again six years ago is for others to say. And next time I’m looking for a printer, I guess I’ll check out the Envy printer range, just to see whether the brand stretches that far! This entry was posted in Technology and tagged HP Envy 17, HP Envy brand, PC is personal again, Voodoo PC. Bookmark the permalink. 4 Responses to Is the PC still personal, six years after HP bought Voodoo? I like reading your articles, but the black parts of the background on this wordpress blog makes it almost impossible to read some of the text. Could you get the background updated to make the articles easier to read? I wish I knew what you meant but I don’t… can you send me a screen capture of what the blog looks like to you so that I can compare it to what I see here? I’ve had a Voodoo PC and an Alienware PC (used to be a VERY avid gamer) and was sorry to see both of them get assimilated. Good to hear that some of Voodoo is left around and I think Alienware DNA is still doing well at Dell. For high-end boutique systems I came across OriginPC (http://originpc.com/) recently and was impressed with them, started by some of the guys at Alienware. For desktops systems I’ve used ibuypower.com that last few times, just ordered my latest one last night actually. They offer a VERY personal computer configure experience (20+ cases, 10+ motherboards, 30+ GPUs, etc)! So the site is really for the uber computer geek that wants full control over every component going into their desktop (they have laptops too) but doesn’t want to build it themselves. They are also cheaper than OrginPC, VERY similar system was about $300 cheaper. I dont have an email address for you. Can you drop an email to my address and I will reply with a screenshot?